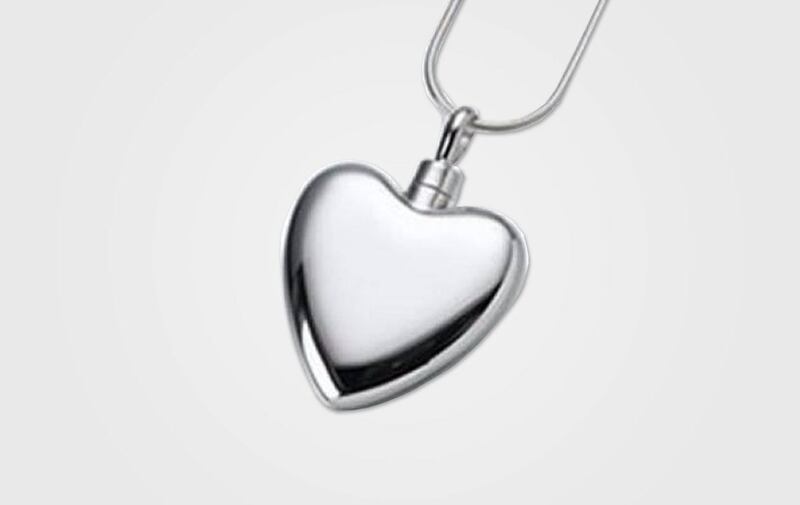 Our Sterling Silver Heart is a simple and elegant way to keep a tiny amount of your pet’s ash always with you. The ash is secured by a small screw top. The heart comes in two sizes: 3/4“ x 3/4” and 1 1/4” x 1 1/4”. The heart can be engraved on one side for $40 or on both for $80. Engraving is limited to two lines with no more than 8 characters/spaces per line. A black satin cord, a small funnel and filling instructions are included. Heart pendants can also be made in both white and yellow gold, as well as gold vermeil. Please call for pricing.